You want to be rewarded for spreading the word about Oh Tilly’s amazing styled stock photography and it’s major affordability. Well the good news is that we WANT to reward you for helping to bring us new people to help with affordable imagery for their businesses. So we created our affiliate program. Every member automatically becomes an affiliate partner with Oh Tilly and we will pay you real cash money (into your PayPal account) every time someone you’ve referred signs up using your affiliate link. But you can still become an affiliate partner even without an Oh Tilly membership, just sign up for our FREE monthly photos and use those somewhere (so your recommendation is authentic!). The best thing in styled stock since sliced bread, no, wait, bacon, no wait, chocolate, wait, coffee. Well you get my drift. Seriously, the most gorgeous styled stock, saves me tons of time and Tilly takes requests. You'd pay thousands of dollars for service like that. Start using Oh Tilly Styled Stock images on your online presence, Facebook, Instagram, your website and/or marketing materials. Tell people about the amazing new images you're using, where they come from and how they can get them for an incredibly amazing membership price. Share your affiliate link now! You don’t have to do anything but cut and paste in order to earn $10 per new sign up. Don't waste your time with little percentages, get $10 every time someone you’ve referred to us signs up. That sounds pretty easy right! 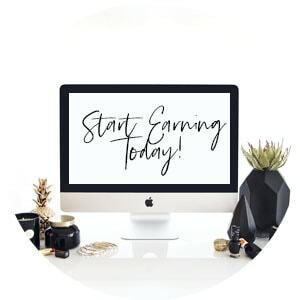 Of course you can share your affiliate link with your email list or write a blog post or even share within groups and forums for more earning potential. Create Tutorial videos on how to create using Oh Tilly Styled Stock Photography to show the value of Styled Stock. Become an Oh Tilly Affiliate Partner today and increase your earning potential!